Tour Description: This is a trip that brings together the best of Northern Michigan in the fall. 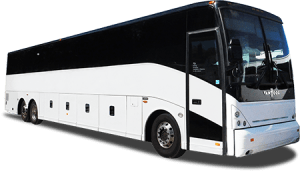 Besides your scenic drive in beautiful northern Michigan your trip will include unforgettable stops in Clare, Charlevoix, Mackinaw City and Island, and West Branch; just to name a few. 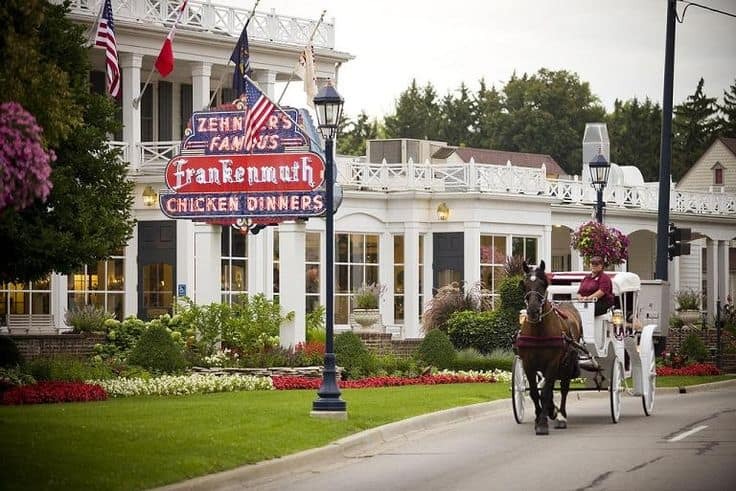 There is too much included to list it all, but some of the highlights include a visit and Lunch at Castle Farms in Charlevoix and tour of city; visit to famous bakery in Clare, MI; Ferry Ride to Mackinaw Island where you will eat lunch at the luxurious Grand Hotel and receive a picturesque carriage tour of the Island; a special Wine Tasting with souvenir; and a visit to Hartwick Pines; and much more. All this while staying at the Mackinaw Beach and Bay where every room is a suite that has a waterfront view. This hotel is a destination in itself. If you love Michigan in the Fall then this trip was made for you. Hotel Description: Mackinaw Beach and Bay is the only All Suites Resort on the Water in Fabulous Mackinaw City! Experience Mackinaw in luxury at the newest resort in the area, Mackinaw Beach and Bay! We’ll delight you with outstanding personalized service, beautiful waterside suites, spectacular bridge views, large private beach, our indoor pool, hot tub, and easy access to world-class attractions and unique shopping experiences. Ideally located just minutes from romantic Mackinac Island and downtown Mackinaw City, this affordable resort offers you a vacation experience like no other. Call us today and reserve a seat on this trip to get your suite with a million dollar view for this special get-away. Every room is a suite that faces the water! 5:40 am Depart Dearborn Public Library on Michigan Ave in Dearborn. 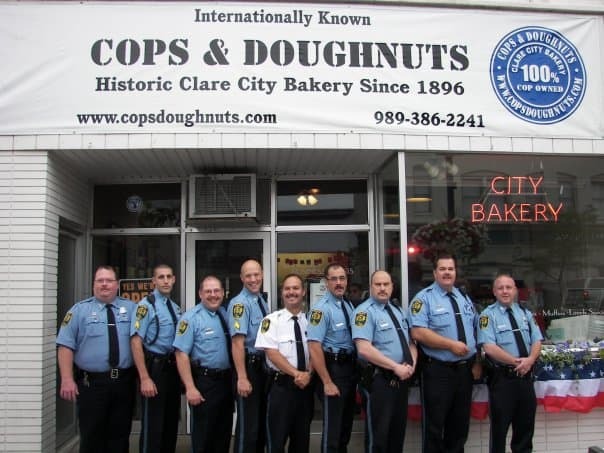 9:30 am Rest stop at Cops & Doughnuts in Clare, MI. 11:30 am Lunch is included at Castle Farms. 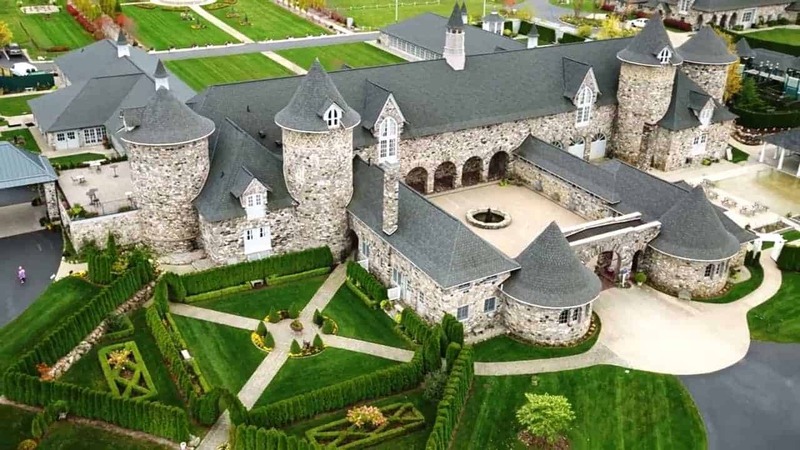 12:30 pm Walking Tour of Castle Farms. 3:00 pm Depart Castle Farms. 3:30 pm Arrive in Charlevoix. 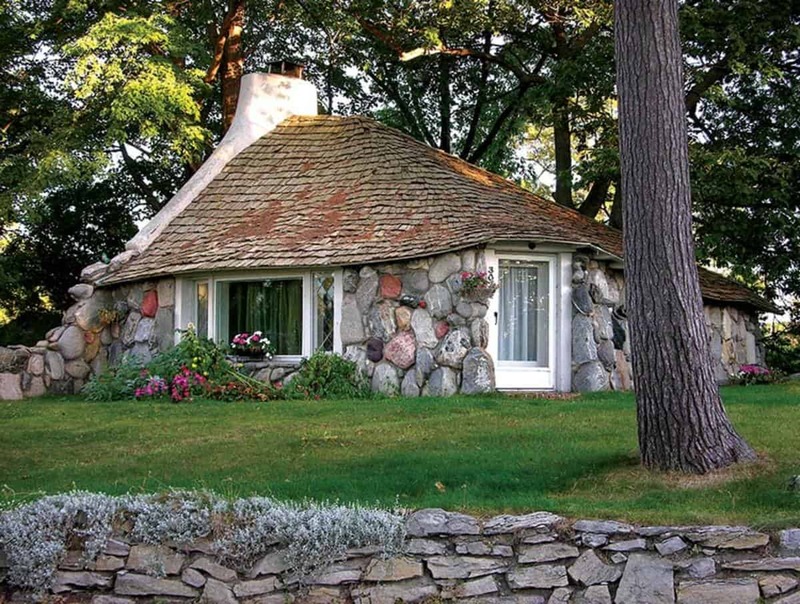 Driving tour of Earl Young “Mushroom” Homes. 4:30 pm Depart for Mackinaw City. 6:00 pm Arrive in Mackinaw City. Check into Mackinaw Beach & Bay. Dinner (On your own) in downtown Mackinaw City & Mackinaw Crossings. 8:30 am Meet your guide for a fascinating ride across the Mackinac Bridge. 10:00 am Visit Mackinaw Island. Enjoy a carriage ride of the island and lunch at the Grand Hotel. 5:00 pm Return to St. Ignace. Optional visit to Kewadin Casino in St. Ignace. 8:30 am Depart for Hartwick Pines. 10:00 am Tour of Hartwick Pines. 12:30 pm Lunch (on own) at Dawson & Stevens Diner. 2:00 pm Depart for West Branch. 3:00 pm Wine tasting at The Silver Lining. 4:00 pm Depart for home. 5:30 pm Arrive in Frankenmuth. Free time and dinner on your own. 7:00 pm Depart for home. 9-10:00 pm Approximate arrival home.